Add a touch of Antique French Style to your home with this beautiful White Antique French Style Wall Mirror. 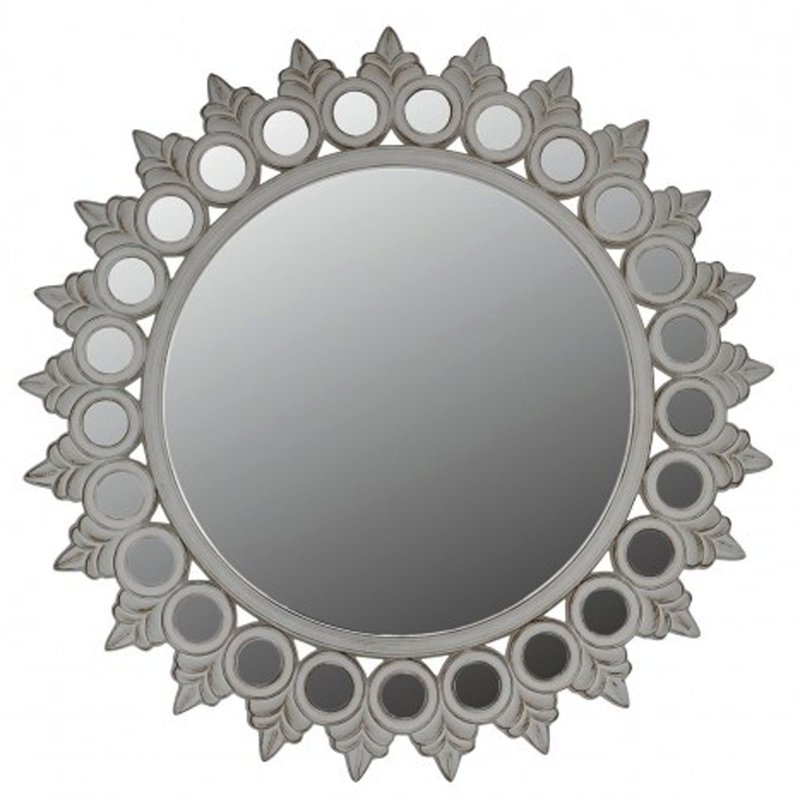 With a washed white frame this lovely wall mirror includes one large mirror with an array of smaller circle mirrors around the big mirror. The decorative floral design will bring life to your current interior and allow you to achieve that Antique French Style feel you've always wanted.